Senegalese opposition politicians denounced the country’s high unemployment rate to mobilize youth against former President Abdoulaye Wade in the country’s 2012 presidential election. Joblessness was one of the main issues that drove the country’s many young people into the streets and to the voting stations to press for a change of government. At least six people died in the protests, and President Wade was defeated by the current leader, Macky Sall. The key lesson from Senegal’s election violence is that youth unemployment, which is 15 per cent in that country, can fuel the fire of political violence and civil unrest. A World Bank survey in 2011 showed that about 40% of those who join rebel movements say they are motivated by a lack of jobs. Aware of this, African governments are confronting unemployment in many different ways. In Senegal, President Sall launched a programme in February 2013 to create 30,000 jobs by the end of the year and possibly 300,000 by 2017. Youth account for 60% of all African unemployed, according to the World Bank. In North Africa, the youth unemployment rate is an eyebrow-raising 30%. It is even worse in Botswana, the Republic of the Congo, Senegal, South Africa and several other countries. Africa’s unemployment statistics exclude those in vulnerable employment and those who are underemployed in informal sectors. “Young people [in Africa] find work, but not in places that pay good wages, develop skills or provide a measure of job security,” reports the Brookings Institution, a Washington-based public policy organization that conducts independent research. More than 70% of the youth in the “Republic of the Congo, the Democratic Republic of the Congo, Ethiopia, Ghana, Malawi, Mali, Rwanda, Senegal and Uganda are either self-employed or contributing to family work,” adds the report. Gabriel Benjamin, a jobless university graduate in Lagos, Nigeria, says that it is common to find young Nigerian university graduates doing menial jobs. “They clean floors in hotels, sell recharge [mobile telephone calling] cards — some even work in factories as labourers.” The Brookings Institution considers underemployment a problem serious enough to warrant greater attention, since it masks the reality in countries that post low unemployment rates. Simply put, underemployment is not a solution to poverty, concurs the International Labour Organization (ILO), which reports that up to 82% of African workers are “working poor.” According to the African Economic Outlook, on average, more than 70% of Africa’s youth live on less than US$2 per day, the internationally defined poverty threshold. “This is an unacceptable reality on a continent with such an impressive pool of youth, talent and creativity,” stresses Mthuli Ncube, chief economist at the AfDB. Alexander Chikwanda, Zambia’s finance minister, puts it succinctly: “Youth unemployment is a ticking time bomb,” which now appears to be perilously close to exploding. Mr. Chikwanda’s analogy draws attention to the consequences of high youth unemployment in a continent where about 10 million to 12 million young people join the labour market each year. “As events in North Africa [the Arab Spring] have shown, lack of employment opportunities … can undermine social cohesion and political stability,” warns the AfDB. Ahmad Salkida, a Nigerian journalist who has had rare access to the militant group Boko Haram, told Africa Renewal that although the sect is mainly driven by ideology, pervasive unemployment in northern Nigeria makes for easy recruitment of jobless young people. African governments have made some efforts to match words with action. Ghana created national youth service and empowerment programmes to equip college graduates with requisite skills and help them find jobs. Mauritius developed a plan to encourage technical and vocational education for young people. 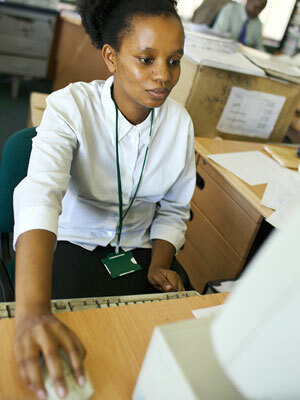 Zambia introduced a national youth policy and a youth enterprise fund to stimulate job creation. The Nigerian government introduced a skills acquisition and enterprise development programme as a component of the existing national youth service corps; it also introduced a business plan competition, dubbed YouWin, which grants winners start-up financing. The jury is still out as to how much of an impact such national initiatives have had on youth unemployment. Mr. Ncube warns against high expectations. There are “no quick fixes,” he advises, and recommends “stronger job-creation mechanisms.” Singing the same tune, the World Bank proposes a jobs strategy that pays more attention to rural development, invests in agriculture, is sensitive to the migration of youth to urban areas and prepares them for the contemporary labour market. 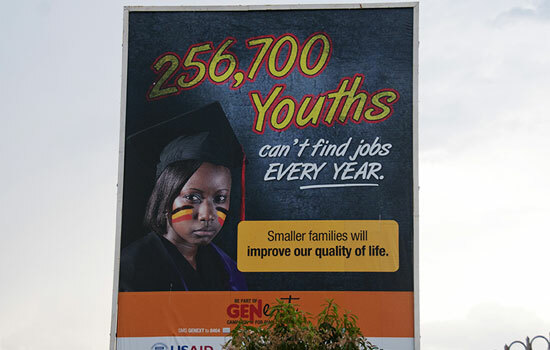 The influx of young people into Africa’s urban areas worsens unemployment there. They are looking for jobs in populous cities such as Lagos, Ibadan, Cairo, Nairobi and Johannesburg. With briefcases loaded with job applications, they move from office to office in search of jobs — any jobs — to keep body and soul together. They often confront obstacles, including discrimination due to their inexperience, according to the African Economic Outlook. Even those who are lucky enough to find employment are the first to be laid off when economic growth derails. In February 2013, Nigerian President Goodluck Jonathan stated on his Facebook page that the country was already diversifying its economy. He was trumpeting the decision by General Electric to invest $1 billion in power generation and oil production in the country. “This will provide jobs for thousands with multiplier effect for tens of thousands,” President Jonathan wrote. Last year US-based Walmart, the world’s largest retailer, invested $2.4 billion in South Africa’s major retailer, Massmart Holdings, in what has been cited as an example of the kind of jobs-generating investment Africa needs.